In the battles between lawyers and doctors over malpractice lawsuits filed by patients harmed while seeking medical services, it may be worth heeding economists’ prescription for caregivers: Physicians, heal thy selves. Aaron Carroll, a pediatrician and health policy expert at Indiana University, has written in the “Upshot” column of the New York Times that research shows that so-called tort “reforms”—including current initiatives on medical malpractice by the Republican-controlled Congress—may be misguided. That’s because advocates committed to greater patient safety and improved care may find more impressive results on the medical not the legal side of “reforms,” Carroll argues. He points to persuasive data from Florida and Texas hospitals and how they fare with lawsuits and their rankings with Patient Safety Indicators (PSIs). Federal regulators developed PSIs through a rigorous, research- and consultative-process to provide information on “hospital complications and adverse events following surgeries, procedures, and childbirth.” Part of the theory behind these metrics is that if hospitals track and measure harms, they might be better prevented at the physician, hospital, procedural, or systemic levels, Carroll wrote. Northwestern University economists had a clear theory about PSIs for their study: They offer a reasonable safety measure, poor safety makes medical errors more likely—and these lead to malpractice claims. 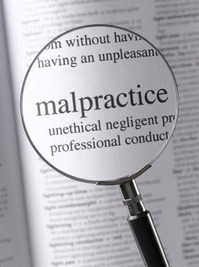 They found that hospitals with poor PSIs had higher rates of malpractice claims. But this also was key: Acting to improve a hospital’s situation so it went from worse than two-thirds of its peers to where it was better than two-thirds of them, a shift from the 33rd to the 67th percentile, reduced lawsuits by 16 percent, researchers found. They said such improvements were achievable. Too often, efforts to fight undeniable problems in the malpractice system start from the assumption that there are too many cases, that they’re not ‘real,’ and that we need to come up with solutions to limit them. But what the data suggest is that improving medical practices may be a more effective approach than passing new laws. Carroll reports the civil justice system generally handles doctor-patient suits fairly and appropriately, rejecting unfounded claims and making just awards. That’s a view other independent sources have agreed with, especially in questioning the GOP’s current unwarranted attack on the rights of patients to sue for medical harms. In my practice, I see the pain and suffering that patients experience due to bad or negligent medical treatment. They face big medical bills, often major sums that they will need for lifetime care. Lawsuits and the courts can be daunting. It’s a big step for them to become plaintiffs. At the same time, as Carroll has noted in other New York Times columns, doctors and hospitals could reduce their legal exposure with common sense steps. Research shows that doctors, nurses, and hospitals that communicate fully and well with patients about their care and take the time to do so have fewer claims filed against them, he has written. He also has noted that among doctors only a small few get sued for malpractice—and they’re often repeat defendants. He has said that, despite claims to the contrary, so-called “tort reform” doesn’t reduce medical costs significantly, say, by reducing over-testing and other “defensive” medicine practices. Meantime, it’s worth noting that yet another study—a sizable one—has affirmed that simple checklists can play a big role in reducing deaths and harms from surgeries. The lists force medical teams to communicate, ensuring they understand the timing and tactics of their work, before and after a procedure. Is the operation site clear and correct? Has the patient been checked for allergies, are needed supplies ready or available, and are images clearly displayed? When 14 South Carolina hospitals voluntarily tested the lists’ use, the institutions—covering 40 percent of inpatient surgeries in the state—saw a 22 percent reduction in post-surgical deaths. Atul Gawande, a surgeon and author, has been among outspoken advocates for using checklists to save lives and reduce medical harms. It’s troubling to see that it has been a decade since he wrote his New Yorker magazine story about the lists’ demonstrated value, in medicine, aviation, and elsewhere—and how slow surgeons and hospitals have been to adopt this approach or elements of it. I’ve written that experts blame medical errors, especially in hospitals, for as many as 1,000 deaths a day, and that toll may be so high and needless that it’s the third leading cause of death in the country behind only heart disease and cancer. That startling data should get partisans’ heads turned, away from attacking patients and their legal rights and instead toward improving hospital safety and ridding the health system of bad doctors and harmful medical practices.